Congratulations to all of our Ivy Coach students who earned admission to Princeton (photo credit: Alfred Hutter). The admission statistics for the Princeton Class of 2019 are in. In all, the university offered slots to 1,908 students of the 27,290 that applied to the university. 767 of these 1,908 students were previously offered admission in the Single-Choice Early Action round. 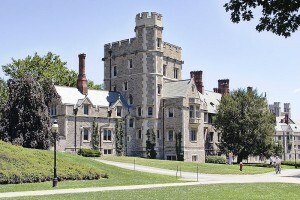 The admission rate thus stood t 6.99%, marking the most selective year in the history of Princeton. Have you ever read a statement from a dean of admissions in which the students were touted as untalented or not diverse? We didn’t think so. Congratulations to all of our Ivy Coach students who earned admission to Princeton University in both the Early Action round as well as the Regular Decision round. We are so happy for you. And we know some of you earned admission to other schools like Harvard, Yale, and Stanford and you’re left with the decision of which of these most prestigious universities to attend. The answer is that you cannot possibly go wrong. No way.